A conversation with an experienced estate planning lawyer will be much easier when you have your goals in mind before attending the meeting. 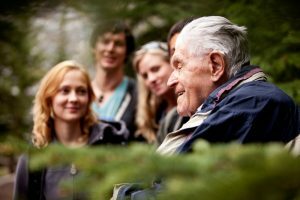 Different people approach estate planning with their own individual goals and the more time you can take to reflect on these, the easier it will be to craft strategies and tactics in line with your unique concerns. To ensure that the family business you have worked so hard to build remains operational, functional and successful after a death or a sudden departure. To protect wealth using tools like asset protection planning. To determine the path of distribution for assets after a death occurs. To ensure that pets are financially provided for if something were to unexpectedly happen to an owner. To ensure that minor children have a guardian established to take over responsibilities of parents if the parents pass away prior to the child growing up. To outline a plan that protects the government benefits of a child with special needs while also providing for his or her care. To provide for incapacity or sudden disability by outlining who is able to make decisions and manage the affairs of the incapacitated person. To outline goals and strategies for charitable giving. To reduce or avoid estate taxes for those with significant wealth. To enhance control over what happens when a person receives an inheritance, such as ensuring that the money is used for a specific person like going to college or is passed on in a manner that allows that person to be financially successful. Schedule a consultation today with an experienced estate planning lawyer. Life insurance can be a powerful planning tool when used in conjunction with the remainder of your estate plan. Having an estate plan put together with the help of an experienced estate planning lawyer is helpful for outlining what you intend to accomplish in the future. Being part of a blended family, which has complicated family dynamics. You could use this to provide for your new spouse, allowing your children to inherit other assets. You just started your own family and may need to replace income, pay for the child’s education, or pay for mortgage and car payments. 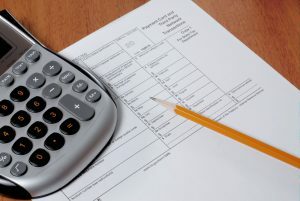 Your estate is large enough to have estate tax liabilities. You could have state or federal estate taxes associated with your estate when you pass away. 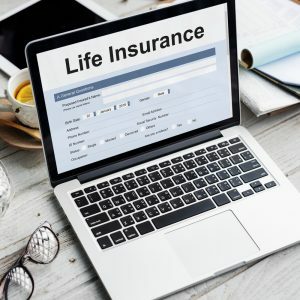 Life insurance can allow you to fund this liability or can be used to generate liquidity reserves that can be accessed to pay initial taxes and expenses once you pass away. Regardless of how you choose to use your life insurance policy, you should discuss your options directly with an estate planning lawyer. So many changes in the estate and the gift tax rules mean that it’s more important than ever to contemplate estate planning strategies. Trusts matter now more than ever because these are much more than tax planning vehicles for the estate planning purposes. 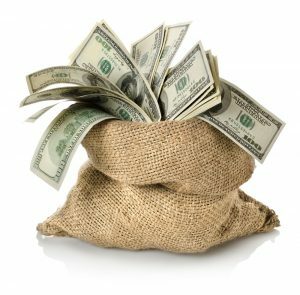 Many people continue to struggle with the problem of determining how much is enough and how much is too much when passing on assets to your grandchildren or children. 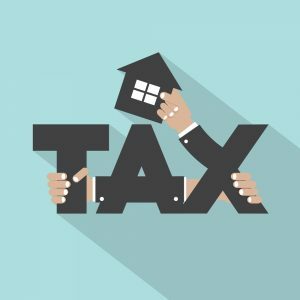 Although few families are subject to the federal estate tax, leaving assets inside a trust enables a beneficiary to reap the advantages of a family’s success without the high potential for adverse effects such as spending the money too quickly. You can also provide significant protections for your beneficiaries by putting assets inside a trust. This includes protection from creditors, protection from a spouse who seeks a divorce in the future and protecting a beneficiary from being exploited financially. Even if no tax planning is needed, trusts can be used to further your goals and to address your individual concerns about inherited wealth. Scheduling a consultation directly with an experienced estate planning attorney is your first opportunity to talk through using a trust as an estate planning vehicle. Your trust is a powerful tool for you and your loved ones, but only if it’s created and funded properly. You need time set aside to speak to a lawyer you can trust about how to craft the right trust for you. In a sit-down conversation with an estate planning lawyer, you will want to have a sense of confidence and comfort in this person who will help steer you through the estate planning process. Medicaid knowledge and application preparation. Drafting of critical documents like power of attorney or a last will. Explanation of strategies, such as trusts to protect assets inside your estate and pass them on to beneficiaries. There are several questions you should ask an estate planning attorney during your initial conversation. You are not obligated to work with an estate planning lawyer until you have signed a contract with him or her. Make sure that you consider these questions and ask them during your interview. What percentage of your practice is dedicated to estate planning and elder law concerns? Do you host any seminars, workshops, or other educational opportunities for me to learn more about estate planning? Why did you choose to practice area of estate planning and elder law? Will I be working with you directly or another person on your team? 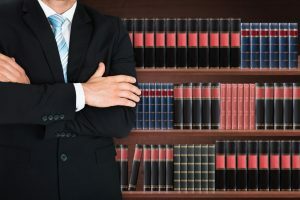 These are all important questions to consider because not all attorneys choose to operate their law firm in the same manner or have the same experience, knowledge and passion for estate planning or elder law. 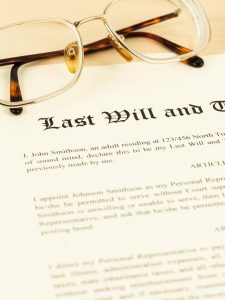 Since this individual will be so personally involved in the development of plans for your present as well as your future, these questions can help you narrow down who to work with as an estate planning lawyer. Untangling all of the aspects of your estate can be daunting for you but it can be even worse for your loved ones. You may pass away without leaving your executor or your family members with an updated and complete list of where all your materials are and how they can be accessed. Think about all of the assets and pieces of property you have accumulated over the course of a lifetime. If you have not clearly planned and articulated where these will go after you pass away, you’ll leave this mess for your loved ones to determine. Your bank account, mutual fund holdings, and brokerage accounts, as just a couple of examples, are associated with many different usernames and passwords and sometimes these require answers to security questions that your loved ones might not know. Since not all of your holdings will be available electronically, you will need to plan for how an executor can access these materials. Some possessions are completely digital, like your social media accounts or the online place where you store all of your photos. However, if you don’t have passwords or a succession plan for these items to be passed on, you could be setting yourself up for failure and make things harder on your loved ones. They might never be able to access these accounts at all since each of these individual companies have their own rules about how these assets can be passed to someone else, if at all. 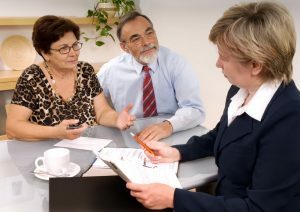 You need the support of an experienced and knowledgeable estate planning lawyer to walk you through each aspect of the estate planning process and to counsel you about what to expect so that you can avoid these mistakes. Starting a master list of all the different places where you have an account and adding to it as these jump into your mind over the course of a couple weeks can make it easier to have access to all of these. Many people don’t realize how many accounts and assets they have until they go through the process of creating a master list. Unfortunately, plenty of people have not carried out the process of putting together an estate plan, assuming that they don’t need one or following some misconceptions about what truly happens to their belongings if they fail to plan. It is a big misconception to think that the state takes over your assets if you pass away without an estate plan. If you fail to leave a plan, the state follows the intestate policy of distributing your property to your traceable relatives. The only time that a state truly acquires a decedent’s property is when no traceable blood relative could be identified. This means that you have no cousins, siblings or anyone else. If you fail to engage in estate planning, a far more likely prospect for what will happen to your belongings is that you will leave behind a mess for your loved ones and one that could be easily avoided by scheduling a consultation with an experienced estate planning lawyer. An estate planning lawyer can assist you with pulling all of the necessary information together in your key documents and ensuring that you have considered all aspects of the estate planning process. 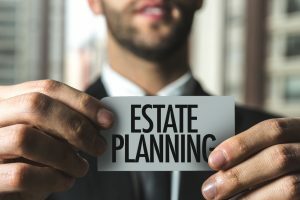 While the state might not necessarily take your belongings, you probably want to have a say in how your belongings are distributed and the best way to do this is by connecting directly with an estate planning lawyer who can assist you with using tools like trusts, wills and other strategies to protect your assets for the rest of your life and your loved ones in the future. As a parent, it can be hard enough to look ahead to the future and consider that your child could be moving out of the house to go to college, join the military or take on a new job. But part of the estate planning process does consider when your child reaches the age of 18, since he or she will be officially a legal adult at that point in time. This means that 18 is also the recommended age for the creation of an estate plan with basic documents like advanced directives and a power of attorney. Since your child will be named as a legal adult at age 18, as a parent you are no longer equipped to make decisions on behalf of your child unless your child has granted you that ability. Using tools like a health care proxy which can enable you to make medical decisions on behalf of your loved one or a power of attorney to assist with financial and legal decisions in the event that your teenager becomes incapacitated, are both important. Unfortunately, everyone is at risk of accidents, diseases and sudden illnesses that could rob even a teenager of mental and physical health. If your teenage son or daughter does not have a healthcare proxy or a power of attorney, you could be at risk of having to go through the additional frustration and expense of a guardianship proceeding to enable a judge to appoint a legal guardian to make decisions on behalf of your teenager. These guardianship proceedings are also frequently invasive to privacy and can be one additional hurdle that you don’t wish to go through after dealing with the process of your teenage son or daughter suffering through an accident or serious illness. For this reason, you need to contemplate the prospect of estate planning that can be done with the help of an experienced and knowledgeable lawyer.